Although the rumors are that nothing internally has changed, Nintendo is about to release this new Wii in Japan. Speculation is that the device will show up on Japanese shelves on August 1st. 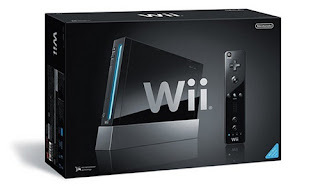 You have to admit the Wii in all black instead of its famous all white is pretty cool. My thinking is that all the other game systems I can think of are dark colored so at the initial launch, Nintendo wanted something that looked completely different and stood out. Now that market penetration is so high, they've gone back and offered the "cool" black. Of course, just because it's in Japan doesn't guarantee that it will be available in the US, but let's face it... this would sell pretty well in the states, don't you think?